Sometimes getting lost is an awesome way to discover a new place. That being said, it's always good to brush up on a couple of key things about your destination before you head off. Read on for a few Lyons tips and tricks. A neighborhood in the popular city of Chicago, Lyons is 11 miles (18 kilometers) to the southwest of the downtown area. Last time they counted, the population of Chicago was 2,700,000. Save big on your trip to Lyons by combining your flight and accommodation bookings. 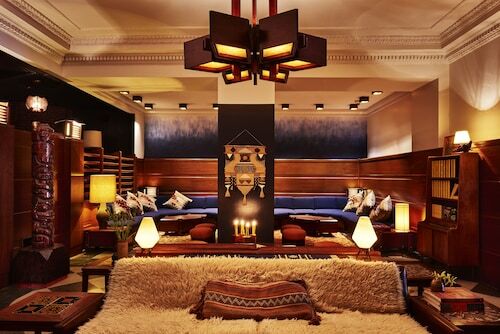 You can also pick from upwards of 400 airline companies and 665,000 places to stay. Our Customer 1st Guarantee offers 24/7 personal assistance on everything from accommodations and airfares to car rentals and activities. 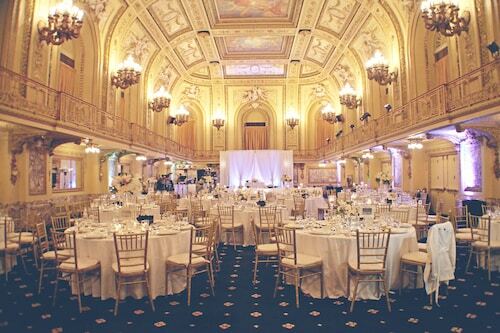 If you somehow chance upon a better bargain somewhere else, we will return the difference^. Changes to reservations will not incur extra charges from us. And as long as you get in fast, many accommodations won't charge you a fee either^. Book your accommodations with Travelocity and lay your head around the corner from Lyons' best attractions. However, with just 2 properties to choose from, you'll have to move fast to lock in the best room. 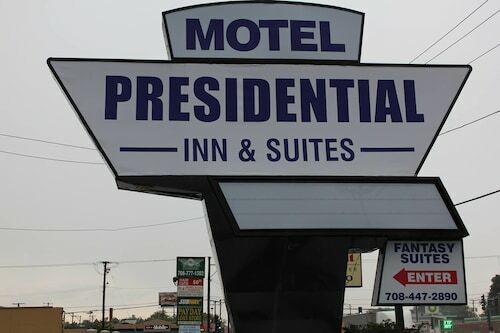 We recommend the Presidential Inn & Suites (3922 Harlem Ave) and the Rodeway Inn Lyons (8640 W Ogden Ave). Pick out the best option and then start packing your suitcase. Where do you fly into for Lyons? Put your seat upright, switch off your laptop and get ready to hit the tarmac at Midway International Airport (MDW). Best part? You'll be just 4 miles (6 kilometers) to the east of Lyons. Can I rent a car in Lyons? Wander through Lyons and get a feel for the local culture. If you intend to head a little way out, renting a car via Travelocity is a great choice. Arriving by plane? Organize to collect your rental at the start of your journey at Midway International Airport. You'll find Budget only a short walk away. Avis is another top option. Make a beeline for Enterprise and you'll be out on the busy streets in no time. They are situated at 9116 Ogden Ave, a mere 2 miles (3 kilometers) from the town center. Are you simply wild about animals? You can grunt, squeak and squawk with some of the most fascinating of them at Brookfield Zoo. It's a fun day out for everybody! Need some more close by options? Whether you're a pinball whizz or a complete rookie, Galloping Ghost has a fantastic selection of arcade tables to suit everyone. But there's more. Of all the roads you take in life, make sure at least a few are dirt! So slide into those boots, replenish your water bottle and tackle the hikes of Salt Creek Trail. Riverside and Forest View are well worth a visit while you are here. Riverside is 1 mile (2 kilometers) away, and Forest View is 1 mile (2 kilometers) away. 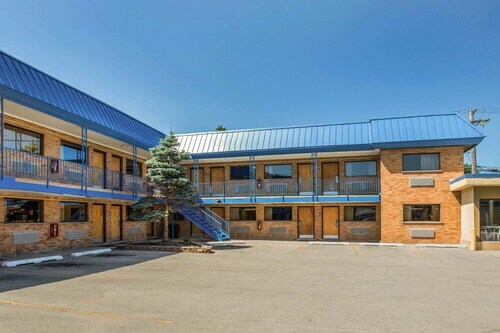 Located in the heart of Lyons, this motel is 1.5 mi (2.4 km) from Brookfield Zoo and within 9 mi (15 km) of Toyota Park and Oakbrook Center Mall. Ernest Hemingway Museum and House and Frank Lloyd Wright Home and Studio are also within 9 mi (15 km). Brookfield Station is 13 minutes by foot and Brookfield Hollywood Station is 23 minutes. Situated in Lyons, this motel is 2.1 mi (3.5 km) from Brookfield Zoo and within 6 mi (10 km) of Toyota Park and Ernest Hemingway Museum and House. Douglas Park and Frank Lloyd Wright Home and Studio are also within 9 mi (15 km). Berwyn Harlem Avenue Station is 16 minutes by foot and Riverside Station is 23 minutes. Located in River North, this hotel is within a 10-minute walk of Chinese Consulate, Holy Name Cathedral, and Northwestern Memorial Hospital. Museum of Contemporary Art and Water Tower Place are also within 15 minutes. Grand Station (Red Line) is only a 2-minute walk and Chicago Station (Red Line) is 7 minutes. The hotel is a half-block from the Magnificent Mile and an 8-minute walk from Grand/State Metro Station. Many attractions are within a 15-minute walk, including the Wrigley Building and Navy Pier, where guests can hop on a boat cruise to see the city's famous skyscrapers from the water.